Kiwi VoIP specializes in cloud-hosted PBX’s as well as on-premise and hybrid solutions giving our customers the flexibility they need to solve any deployment scenario. 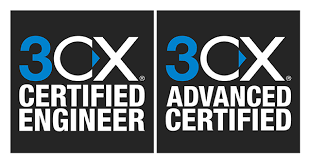 Our technicians and engineers are 3CX advanced certified and we have a close working relationship with the 3CX team so we can completely support our valued clients. Can we really save money with VoIP? Yes you can. We save on average around 60% compared with traditional PSTN providers. Can you quickly explain what VoIP is? VoIP stands for Voice over Internet Protocol. 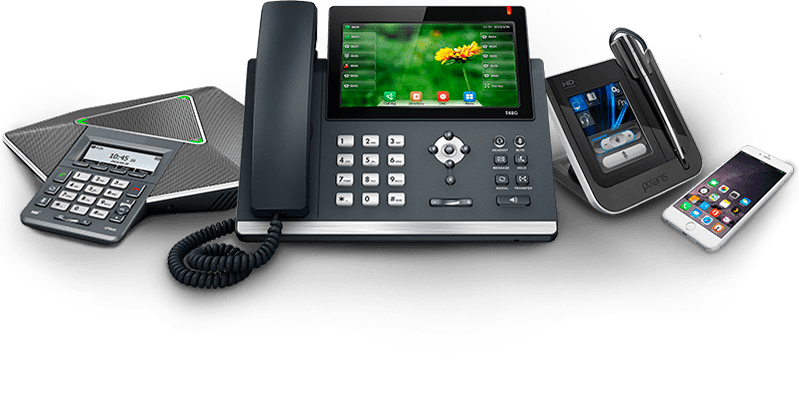 VoIP phone service (sometimes referred to as broadband phone service or digital phone service) is a phone service that operates by using your high-speed Internet connection. There are two types of VoIP services: phone-based and computer-based. These services allow you to make phone calls using either your regular phone, an app on mobile devices, or a softphone client on a computer (via a headset with a microphone). As opposed to traditional landlines, VoIP uses your phone or computer to call the number via the Internet. The call is converted to data packets and sent over the Internet instead of through the copper wires that make up a standard PSTN network. How is the voice clarity? The quality of VoIP voice has dramatically improved over the past few years. Currently, VoIP calls have voice quality that is at or above the quality of a landline phone. Please note, though, that voice clarity can differ from provider to provider, and usually depends on the speed (and quality) of your broadband connection. If you want to find out whether or not your current broadband connection supports VoIP, test your connection via our speed test. Do I need a computer to call? No, you do not need a computer for phone-based VoIP services. However, you do need an existing broadband Internet connection. You can also purchase a dedicated IP phone; but this is not necessary, as most providers offer a BYOD option. An ATA can be connected to your existing phone to a high-speed internet connection. With a computer, one can manage and use different features offered by the provider, but owning a computer is not required for VoIP service. What can a VoIP phone do that a landline phone cannot? VoIP or broadband phone service can help you save up to 60% on your monthly phone bill. Kiwi VoIP offer many features which are covered in the monthly fee, such as voicemail , caller ID , conference calling , and call waiting . Kiwi VoIP offer long-distance with their plans, which saves customers the trouble of having to purchase long-distance phone cards. Furthermore, Kiwi VoIP offer unlimited calling to other subscribers on the same service, allowing you to talk to those users for as long as you wish at no additional cost. Kiwi VoIP allows number portability , so you can use the same number you had with your traditional phone provider. There is a $20 porting (one off) charge for a local number and $25 for a Tollfree number. Also, you should be aware that number portability is not instant, and can take up to 10 days. Got a few staff on the phone? What a great year its been here at Kiwi VoIP. We have welcomed new staff and opened our Christchurch Office. 2019 will be huge!